In the closing hours of the last day of the long, bloody, soul-wracking 2014 Christmas shopping season, hours before Boxing Day month begins, I must remind every consumer, all of us, to do their duty to the utmost. You must remain strong, resolute, and sharp-eyed for that last item on your list. You must keep your elbows up, your car horn at the ready, and your shopping cart gripped firmly to ram through all resistance. Even though large tracts of shelves lay bare and in ruin, even though many of the best items have fallen into the hands of other shoppers, we shall not flag or fail. We shall go on to the end, when we are ordered to bring our purchases to the checkout. We shall fight in the aisles, we shall fight in the parking lots, we shall fight in the checkout queues, we shall fight in front of the kiosks, and the cart coral, we will defend our last-minute purchases no matter the cost; we will never surrender. 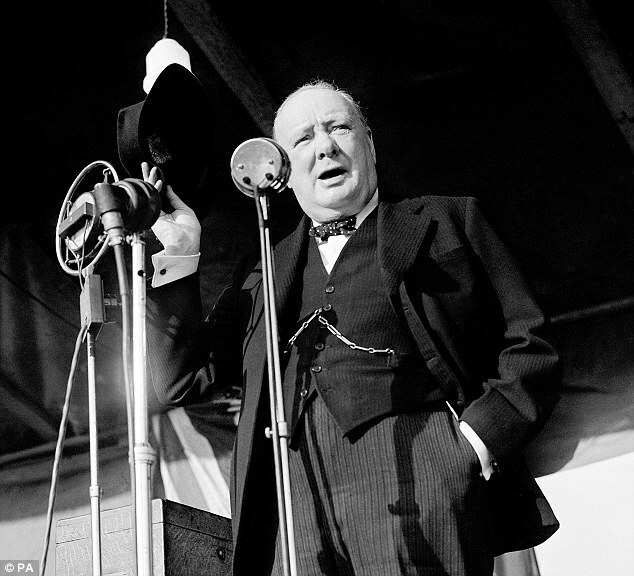 Winston Churchill giving his less famous Christmas shopping speech.